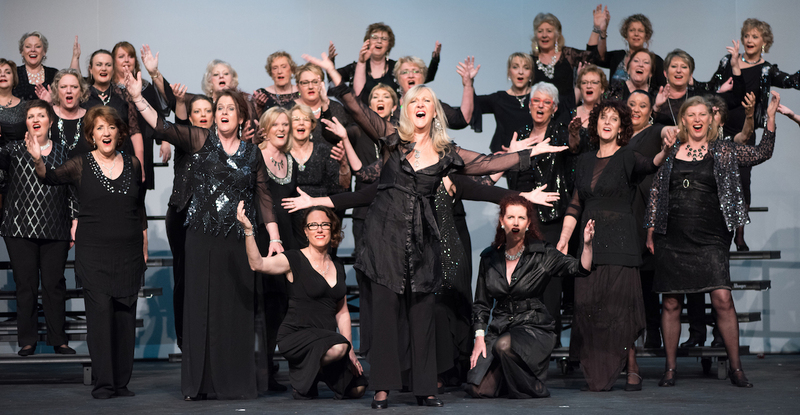 Redland Rhapsody Chorus is one of over 700 choruses of Sweet Adelines International, a worldwide non profit organisation dedicated to women's four-part a cappella barbershop style harmony. Redland Rhapsody has earned a number of national a cappella awards, including Australia's best small chorus and most improved chorus. Our trademark is musical and performance excellence with crowd pleasing innovative showmanship. Our Director is Louise Brannon and our Visual Leader is Megan Bishop. The chorus draws its membership from the Redlands, Brisbane and Logan areas. Redland Rhapsody has been dedicated to producing the finest in four-part a cappella harmony since 1995. Our repertoire includes a wide range of musical genres: classical to rock, ballads, jazz, popular show tunes, upbeat and Australiana songs. This talented group of women is available for professional engagements and performs regularly in South East Queensland. The chorus rehearses every Tuesday night in a modern air conditioned venue at Alexandra Hills in the Redlands.